After 30 hours of research and four months of in-house testing with eight top products, we feel confident recommending the Dyson – V7 Trigger as the best handheld vacuum. While priced significantly higher than its counterparts, the Dyson’s long-lasting lithium battery, V7 digital motor and two tiers of radial cyclones give it a leg-up on our other finalists. 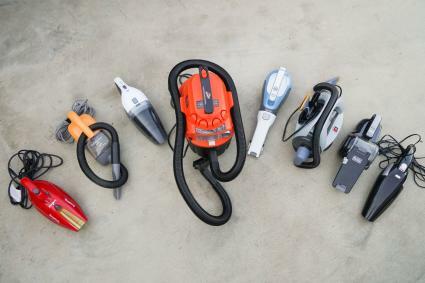 There are at least 72 handheld vacuums currently on the market, so our first job was to narrow down the competition to a handful of finalists. We scoured subreddits like /r/VacuumCleaners/ and considered the findings from reviewers like Wirecutter and Consumer Reports. Once we had input from the professionals, we were able to ascertain which features rank the highest in a handheld vacuum. Power is key when deciding which handheld vacuum to purchase, and run time and battery life are also important considerations for cordless handhelds. First, we looked for handheld vacuums that met our key metrics, such as a superior filtration system and a powerful motor. Then, we filtered out handheld vacuums that had fewer than 200 reviews on Amazon. We also considered the reviews themselves and filtered out any models with a recurring theme of battery power loss or malfunctions. While we generally avoid selecting finalists from the same brand, the two Black + Decker units that we selected have completely different features and design, so we deemed it worthwhile to test both. With these details in mind, we selected eight finalists to review. 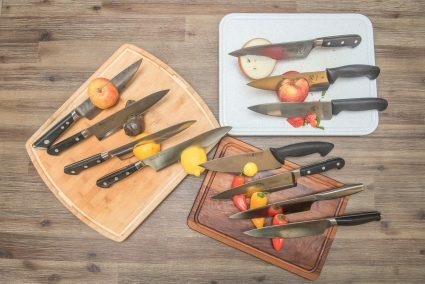 Over the course of several months, we put them through a series of tests to judge their performance and ease of use. Lithium battery – Compared to NiCd batteries, lithium batteries boast a higher power density (meaning they can hold more energy and have longer runtimes). Lithium is the lightest of all metals and provides the highest energy densities. Lithium batteries are less likely to fade and cause your vacuum to lose suction during use. Lightweight – If you frequently use a handheld vacuum, the last thing you want is to give yourself carpal tunnel from heavy lifting. Even if you don’t develop a syndrome, a lighter weight vacuum is always easier to maneuver and carry around the house. Pet hair brush/tool – While many of the handheld vacuums we tested had a brush tool, we found that pet hair gets caught in brushes with nylon bristles. The vacuums with silicone tools for picking up pet hair were much more effective. Attachments/extensions – If you wish to purchase a vacuum, the likelihood is that you desire to use it for more than one task. For instance, a brush attachment is more effective at removing pet hair, while a crevice tool is ideally suited for cleaning car seats. If a car is your main target, car vacuums are more likely to have attachments you need there. Comfort – You can say all you want about suction power and attachments, but comfort is a key component in finding a tool that is the most practical for you to use. Corded vs. cordless – Corded vacuum cleaners have a longer run time and can continuously perform until the job is done (not just the ten minutes of a cordless handheld). Even the corded models with extra-long cords can be a hassle if you’re trying to reach the inside of your car or just want to zap a mess quickly. Consider the pros and cons and choose the type of model that works for you. Cyclonic action – This sounds a bit like marketing fluff when you first read about it, but cyclone technology really does provide stronger suction power and therefore, cleaner floors. The downside is that these types of vacuums are generally sold at a much higher price point. Even with the highest quality brands, consumers have reported that their cordless handheld vacuum doesn’t hold a charge after a certain length of time. This so-called “memory effect” in rechargeable batteries is more accurately referred to as a voltage depression or deletion. While the phenomenon is indisputable, there is debate over the cause. Without delving too deeply into the science behind the occurrence, voltage depression can happen when you consistently recharge a battery before it runs out. This can cause it to “remember” a lower capacity and drop the voltage and capacity over time. It is a well-known feature of NiCd batteries, less noticeable in NiMH batteries and recently acknowledged to also occur in lithium-ion batteries. Is there anything you can do about it? You may be able to recondition the battery by running it down to the 90% discharge point (or to a cell voltage of 1.0 V) followed by a charge cycle several times. However, if the voltage depression is due to overcharging (charging it for too long) or improper storage, you can expect it to permanently operate at a reduced capacity. Unless the manufacturer clearly states that the model can be kept on the charger, you should be prompt about removing it once it is fully charged. Over the course of four months, we used the handheld vacuums for odd jobs around the house. We sucked up coffee grind spills in the kitchen, cracker crumbs on the couch and cleaned up ground-in dirt from the welcome mat. Vacuuming our car interior was an especially effective method of testing the finalists, with a constant supply of sand in the mats and Cheerios in the car seats. We emptied canisters and removed and replaced filters. We tried out the various attachments. In short, we tested the usability and ergonomics of each finalist on a wide variety of spaces including hardwood floors, carpet and upholstery. While using each finalist on a task, we considered how comfortable it felt to hold and whether or not it could navigate tight crevices (such as in a car) as well as larger areas (like a floor rug). One of the first things we first noticed was that a difficult to empty canister could put us off a handheld vacuum quickly. Most people grab a handheld vacuum for a task because they want to clean up a mess in a matter of minutes. Fiddling with a complicated or hard to clean out waste canister seemed to defeat the purpose of using a faster clean up method in the first place. In order to test the power of each vacuum, we used incremental weights (up to 16 ounces, at which point it became unwieldy) to see how heavy of an object it could lift. To create disposable weights, we used a bag of pinto beans, plastic baggies and a digital kitchen scale. Then we turned around and tested the vacuum at the 90% discharge point to see if there was a power drop. For example, the Dyson has a run time of 30 minutes. We used it for 27 minutes, then went back and retested the power with the same method as before. The cordless vacuums using lithium batteries claim fade-free run time, but we found that they did in fact lose suction as they ran out of power. The question then became how much. At the 90% discharge point, the Dyson could pick up 12 ounces of weight versus 16 ounces at full capacity. On the other hand, the Black + Decker cordless models could only pick up five ounces at the 90% discharge point. At full capacity, it could pick up 16 ounces. 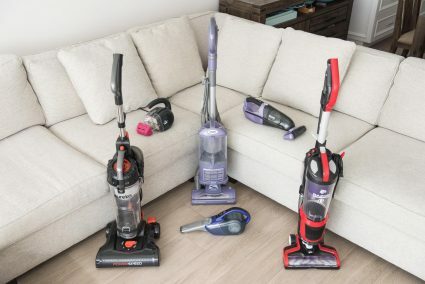 Since so many of the finalists could pick up 16 ounces, we devised a new test to determine which vacuums had the most power. We used a ruler to measure the distance it took to suction up a handful of Cheerios. While we had used the handheld vacuums to pick up sand, debris and dust around the house and in the car interior, we also devised a specific test to compare suction capability. We used baking soda to mimic dust and dry oatmeal to mimic debris, and ground both into short pile Berber carpet. All of the finalists performed well in this test, easily picking up the dry oatmeal and effectively removing the baking soda powder residue from the carpet (using brush attachments when available). However, we found that real life messes posed more of a problem to clean up and we rated our finalists accordingly. We tested the sound output of all the finalists. If you’re cleaning up after kids and pets, you don’t want to wake the baby or send Fido scurrying into the other room. We used a sound pressure level meter to measure and record the amount of decibels when held one inch from the motor. The Dyson – V7 Trigger was practically whisper quiet compared to the others, at 89 dB. We were also impressed with the HoLife – Portable, which was the second quietest handheld vacuum at 91 dB. The Dirt Devil was the loudest at 109 dB. For the cordless models, we felt it imperative to test the run time after a full charge. Dyson is upfront about the run time, citing 30 minutes for regular use and 6 minutes in MAX mode. MAX mode gives you even stronger suction for those particularly challenging areas. We found this to be accurate when testing. We also cleaned the car using a mix of Powerful and MAX mode as necessary (the boost mode is especially helpful in tight crevices), which gave us about 18 minutes of run time and was ample to complete the task. When it comes to charge time, you can use the cordless vacuums before they are fully charged to quickly clean a mess, but you aren’t getting the maximum results. For example, we tested the Dyson’s weight limit after using it for 27 minutes (90% of its run time on a full battery). On a full charge, it could pick up the highest limit we tested: 16 ounces. In instances where a full charge was not indicated by the turning on or off of a light, we referred to the manufacturer’s specifications. For the vacuums that did have an indicator light (such as the Black + Decker – 20V MAX FLEX), we tested the charge by running it until the battery lost power and then replaced it on its charging base. Then, we timed how long it took for the light to turn on or off, indicating a full charge. Finally, we considered the ease of use when charging. The Dyson – V7 Trigger simply plugs in to the power cord whereas the other cordless models need to be balanced on a stand. This no-fuss charging was just one of the design features we liked about the Dyson. The charging base for the Black + Decker – 20V was also convenient, with a wide, flat base that made it unlikely to tip and the ability to organize the many attachments that come with this model. The vacuum and base are designed to store all your attachments in one place, so they are ready when you need them. On the other end of the spectrum, the HoLife – Portable could tip over easily, so you need to make sure the model is upright. Vacuuming up pet hair from hard surfaces isn’t difficult, but it becomes significantly more difficult to remove when it’s embedded in your carpet or upholstery. Pet beds are notorious pet hair magnets and simply throwing them in the washing machine doesn’t solve the problem. According to Consumer Reports, pet hair tends to clump and stick to the wet fabric, drain pumps and sides of the wash cylinder, too. This means your washing machine and plumbing systems have to work harder, making a vacuum a better choice. Four of our finalists include brushes that are specifically designed for pet hair removal. In order to find out which handheld vacuum is best for pet owners, we took the Bissell – Pet Hair Eraser, Black + Decker – 20V MAX FLEX, Dyson – V7 Trigger and Shark – Pet Perfect to task on a canvas dog bed that belongs to a Golden Labrador. Labradors have a double coat: a soft, downy undercoat and a thicker guard coat. They shed their coats twice a year, but in temperate climates such as San Diego (where we tested), you can expect to find hair on your upholstery throughout the year. The light color of Golden Labrador hair makes it show up more easily, so it was a good measure of the finalists’ suction power. Each of the handheld vacuums we tested on pet hair were able to remove the hair, so a more accurate comparison was done by considering ease of use rather than the end result. It was quickly evident that the vacuums with rubber nozzles required less effort and repetitive motion. The rubber attracts and loosens pet hair from the fabric, whereas hair gets caught in the regular bristle brushes and never makes it into the canister. Our top pick for pet hair, the Black + Decker – 20V MAX FLEX, is easily portable, lightweight and uses cyclonic action to separate dust particles and pet dander from the air flow. This renders a continuous suction power, which combined with the rubber nozzle attachment to loosen pet hair, removed pet hair easily. It performed best on the stubborn areas where pet hair gathers, such as the piping trim. The Dyson – V7 Trigger is another top performer, with enough power to easily remove hair, cyclonic action for pet dander, and a mini motorized tool to agitate and loosen embedded hair. While pet hair does get caught in the brush bar (unlike the rubber nozzle of our top pick for pet hair), the brush bar slides out so you can easily clear obstructions. For a budget option, the Bissell – Pet Hair Eraser is a great option with its rubber contour nozzle and a cyclonic cleaning system to help eliminate allergens. Its nozzle spans four inches across, so it makes quick work of an entire pet bed, but made it difficult to reach into the piping trim and corners. The Dyson brand is famous for its digital motor and cyclonic action. In fact, it was Sir James Dyson who invented the concept. With a reputation that precedes it, the Dyson – V7 Trigger does not disappoint. Dyson invented the first cyclonic vacuum cleaner, and its increasing popularity has spawned several imitators. Dyson’s basic concept uses two cyclones. The first creates a vortex that spins at about 200 mph and flings large particles out of the air into a dust-collecting cup. The second, tucked inside the first, creates a cyclone that can reach 900 mph, which can spin out and collect even the smallest dust particles. Despite a high price point, we felt it was worth every penny. Radial cyclones are arranged in two tiers to increase airflow and create a vortex that spins at an incredibly high speed, then spins it out into the filter. This allows it to capture more fine dust, which was clearly evident when we vacuumed a mattress, window blinds and a computer keyboard. The dust was so fine on these surfaces that it wasn’t visible on the surfaces themselves, but you could clearly see material in the collection container after the job was done. Incredible suction power combined with easy handling makes it the most effective handheld vacuum at handling, quick but messy cleanup jobs. The V7 Trigger lives up to Dyson's reputation for innovation, power and design. It's pricier than the others, but worth it. In addition to strong suction, the Dyson’s point and shoot design made it the most comfortable to handle. The trigger releases instantly, so you aren’t fussing with an on/off switch and battery power is only used for vacuuming. When vacuuming a car interior and moving from area to area, we found this a great tactic for conserving enough battery to get the entire job done in one go. 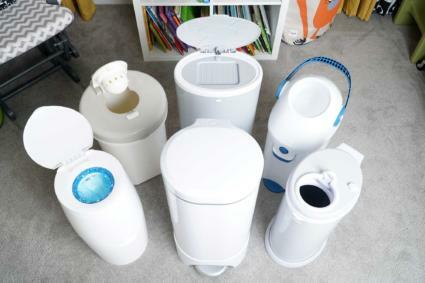 One of the features that makes the Dyson so convenient to grab and go is its hygienic one-touch bin emptying. With the models that require you to twist off the waste bin lid, the pressure of releasing it could sometimes cause dust to scatter over your hand and the container you’re emptying it into. The Dyson doesn’t have this problem because it empties out downward with the pull of a lever. The canister of the V6 model tended to stick, but they improved this feature with the V7 release. Rather than pushing downward with two thumbs, you pull the lever upwards to drive out trapped dirt and debris without getting messy. One downside we did notice in tight spots (such as a car seat) is that because of the angle of the nozzle, you sometimes had to turn your arm around to get the correct angle. Also, the V6 model gave you the option to lock the trigger for continuous suction, but the redesigned V7 trigger must be compressed at all times. The Dyson V7 has slightly less power than the V6 on normal mode, with 28W suction power on the V6 versus 21W suction power on the V7. However, on MAX mode the performance is the same: 100W. We verified this in our testing, with the V7 giving us the same results as the V6 on MAX power mode. The V7 improves upon its predecessor with a longer run time (a total of 30 minutes) and reduced noise. We recorded the V6 at 97.2 dB. The V7 has been acoustically engineered to reduce volume and improve sound quality, which we verified with a lowered decibel level of 89.3 dB. Similar to the V6, the V7 comes with a crevice tool and a combination tool which was soft enough to vacuum dust on a keyboard. In addition to the tools offered with the V6, the V7 also includes a mini motorized tool for pet hair. The mini motorized tool effectively removes pet hair from furniture and upholstery. The beater bar of this tool unlocks so you can easily clear obstructions. With the V6, we resorted to the stiff brush attachment to remove pet hair, and hair tended to catch in the brush rather than actually reach the waste canister. If you’re a pet owner, the mini motorized tool is a helpful addition to your pet cleaning arsenal. If you’re wondering about the difference between the Dyson V7 Trigger and the Dyson V8 Absolute, let us help clarify. The V7 Trigger is technically the newest model, although the two models were released within months of each other. Even though the V7 and V8 both have the new quick release connection, the V7 can’t be used as a stick vacuum. The wand will connect, but there is not enough electrical output to power a motorized brush. The V8 Absolute is a stick vacuum which can use the most attachments. The V8 Absolute converts to a handheld as well, so it’s the most versatile between the two. Only the V8 Absolute has HEPA filtration. Both the V7 and V8 have the new bin dispenser, which cleans the cyclone as you empty it. The V8 will run up to 40 minutes and the V7 will run up to 30 minutes. The V7 has 100 air watts of suction and the V8 has 115 air watts of suction. If price isn’t a consideration, choose the Dyson – V7 Trigger. It has the most cleaning power of the finalists we tested and captures even the smallest dust particles. While all of the cordless models claimed fade-free suction, the Dyson was the only model we tested that had minimal power drop at the 90% discharge point. The ergonomic design means that it fits conveniently into the palm of your hand, and has a balanced weight distribution so it’s comfortable to use. For stubborn messes, the Dyson has a MAX power mode to give you even more suction power. The Black + Decker – 20V MAX FLEX has many of the features that won us over on our top pick, including a lithium battery with 20 minutes of run time, cyclonic action and strong suction. The design is cordless, ultra-compact and easy to cart around. The Black + Decker offers the greatest amount of flexibility in cleaning projects, with a bevy of attachments and a charging station to hold them all. Lightweight and ultra-compact, this cordless vacuum has the versatility to tackle any job and makes cleaning pet hair a breeze. You could tailor the cordless vacuum to tackle any task, simply by switching out the attachment. The stick vac with pivoting floor head attachment helps you reach rugs or ceiling fans easily. The four foot flexible hose attachment allowed us to get in hard to reach areas, which is essential when maneuvering around a vehicle with multiple car seats. At only 3.2 pounds, it’s the lightest cordless handheld we tested. 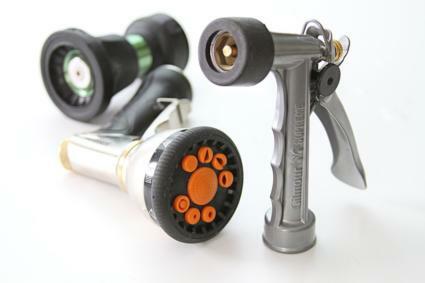 This makes it easy to hold with one hand and use the flexible hose to reach just about anywhere. 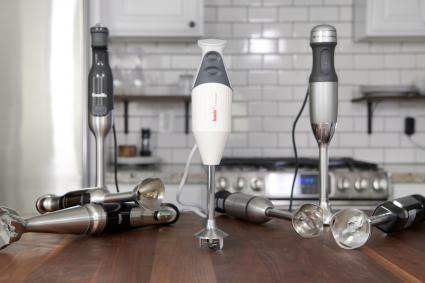 It also comes with a long crevice tool and a two-in-one nozzle/brush attachment. If you’re a pet owner, you may have heard of the rubber glove hack for picking up pet hair from upholstery. The pet hair brush attachment for the Black + Decker mimics this technique and improves upon it. A rubber nozzle and fingers grip even the peskiest hairs embedded into the fabric and easily remove them. Best of all, the hairs didn’t stick to the nozzle, so they actually ended up in the waste canister for fast disposal.The dust canister removes easily: you simply unlock it, twist and empty out the contents. Both the removable bowl and filter are washable. The Black + Decker is a solid recommendation, but it doesn’t take first place since the battery does lose power at the 90% discharge rate, and it’s a fairly big drop. Close to the end of its run time, it could only pick up eight ounces of weight as opposed to at least 16 ounces on a full charge. The rubber nozzle attachment on the Black + Decker – 20V MAX FLEX has strong hair-gathering ability and made this model the most effective at dealing with pet hair. Multiple attachments, including a four foot flexible hose, means that it can handle a wide variety of tasks, even tidying your hardwood and carpet floors as easily as an upright vacuum. It is lightweight and ultra compact, so you can easily bring it anywhere, making it as portable as it is functional. Cyclonic action and a three stage filtration system keep the motor running at top performance and prevent dust and dirt from escaping. At less than $30 at the time of publishing, the Dirt Devil – Scorpion has everything you need to get the job done without breaking the bank. It only weighs 3.7 pounds and has a 16 foot power cord, giving you the freedom and ease to move around the house without unplugging. The Quick Flip crevice tool simply flips down when you need to clean between couch cushions or get deep into a car seat, so you don’t need to worry about searching for the attachment you’re most likely to use. It does come with other attachments, including a dusting brush, sliding brush and upholstery tool. This makes it convenient as well as powerful, since it can lift at least 16 ounces of weight. Scorpion comes with mighty power & multiple attachments to get the job done at a low cost. The Dirt Devil does have a few cons, the biggest one being that it is very loud. We didn’t really need a sound meter to tell us this, but the meter shows that it reads nine decibels above the second loudest handheld vacuum we tested. Secondly, the force and direction of the exhaust system means it tends to blow air right at you as you vacuum. At this price, however, these cons may be small considerations. The Dirt Devil – Scorpion has strong suction and plenty of power with a seven amp motor. You don’t have to worry about run time or charging with a corded model, and an extra long cord gives you enough freedom to finish the job without changing outlets. An integrated crevice tool flips down and locks into place, so you don’t have to search for it in the middle of a task. 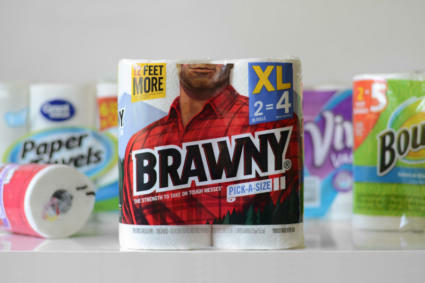 At less than four pounds, you can pick up and go wherever the mess takes you. Black + Decker brought the original DustBuster handheld vacuum onto the market, and the model style is still popular among handheld vacuums. The Black + Decker – 16V MAX is the latest version of the DustBuster, although the only thing it has in common with its predecessor is a recognizable silhouette. The newer model is sleeker and uses 50% less energy thanks to Smart Charge technology. It protects the battery with a high efficiency lithium charger that automatically shuts off when the battery is charged, so there’s no risk of overcharging. The Black + Decker models are the only finalists we tested that are designed to be stored on the charger, so they are always at the ready. In comparison with the Black + Decker – 20V MAX FLEX, the 16V has less power and doesn’t have a stick head attachment for use on the floor, making it less multi-purpose. 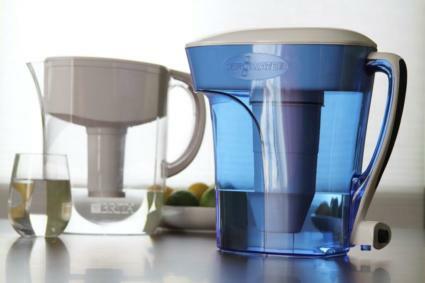 On the other hand, it has a pick up and go design that makes it easy to quickly zap up household messes. This cordless handheld can hold a charge for 18 months, and is ready when you are. While we used it too often to tell if it can hold a charge for an extended period of time, we appreciated the charging light which indicates when the charge is complete. This is important, because for best results, you need to run this handheld on a full charge. The Black + Decker suffers from power loss as the battery runs down, despite advertising fade-free battery power. Another mark against this model was the need to remove the filter in order to empty the canister, making quick pick-ups less efficient. However, everything about this model is a vast improvement from the old school DustBuster of the 80’s. There’s a lot to like about the Shark – Pet Perfect, such as a strong suction and a wall-mountable charging stand. It takes nearly double the amount of time to charge than our other finalists, but it delivers strong and consistent suction. Many Amazon reviewers used this to pick up kitty litter, which makes sense because it delivers strong and consistent suction using twister cyclonic technology, making it ideal for heavier debris such as kitty litter or pet food. We found the suction to be a little too aggressive when removing hair from the pet bed though, and we were concerned that the strong pull on the fabric (nearly sucking it into the canister) would damage the fabric over time. The motorized beater brush on this vacuum uses a spinning action to pick up hair from all surfaces, and while hair did tend to get caught in the nylon bristles, there was no hair left on the pet bed. It didn’t make our top pick because the suction power fades out before the battery fully dies, and some consumers have reported permanent loss of suction power over time. For a budget-friendly option that removes pet hair without any bells or whistles, we recommend the Bissell – Pet Hair Eraser. It has a cyclonic cleaning system and multi-layer filtration like the more expensive models, and a rubber nozzle that attracts pet hair. Even stubborn pet hair was easily removed with the rubber nozzle, combed fingers and strong suction. An extra long cord means you can reach your furry friend’s favorite spots with no trouble. It’s best used for removing pet hair and isn’t as multi-functional as our other finalists. A wide nozzle and no attachments means it really only serves the one purpose. If you’re purchasing a handheld vacuum primarily because it can be a hassle to clean carpeted stairs with a full size vacuum, the Eureka – EasyClean is perfectly designed for this task. 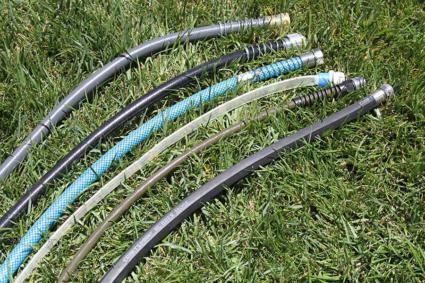 With a 20 foot cord and a three foot flexible hose attachment (and a crevice tool for the end of the hose), it can easily reach anywhere you need to clean. The Eureka has a special riser visor that flips up, so you can clean the face of your couch or the horizontal part of your carpeted stairs easily. It’s a powerful little machine, with two motors. One motor is dedicated to suction and the other to moving the rotating brush. 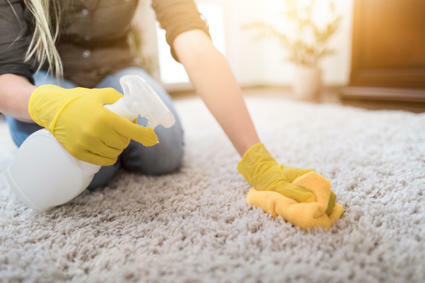 We found it especially useful on carpeted areas, but you do need to be careful as fine dust can restrict airflow and decrease the performance. At six pounds, the Eureka is the heaviest handheld we tested, so it’s better suited for specific jobs such as staircases. Our favorite thing about the HoLife – Portable is how quiet it is, allowing us to vacuum without waking up a sleeping baby (and around a toddler who hates loud noises). It’s also the only finalist we tested that can be used on both wet and dry spills, because in real life, messes don’t conveniently fall into wet or dry categories and are often a mixture. Finally, it has the longest run time of any of the cordless models at a full 30 minutes. While it takes three to five hours to fully charge its lithium ion battery, we found we could use it in under an hour of charging, with little difference in performance. On paper, the lightweight design, lithium battery and cyclonic power rival that of the Dyson. However, in practice, it didn’t fully live up to our expectations. It performed well in our power test and was able to pick up the heaviest bag that we tested (16 ounces). During daily usage around the house, however, we noted that larger pieces tended to fall back out of the nozzle once the power was turned off. 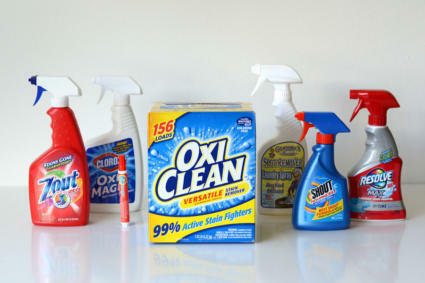 It also required several passes to clean up debris and dust on household cleaning tasks. The latter complaint may be due to the angle of the nozzle, as we did fare better with a narrower attachment. However, a narrow attachment isn’t ideal for picking up more widespread messes or larger pieces of debris. Our main complaint with the HoLife (and Amazon reviewers tend to agree) is the difficulty in removing the dust container from the collection container. It was so tricky to remove that at first, we thought the design required users to shake the debris out through the small filter hole or use water to wash it out. After consulting the instruction manual, it is clear that the parts do separate, but we were never able to remove the dust container. When it comes to handheld vacuums, choosing a cordless or corded model depends primarily on the tasks on which you will use it the most. We found cordless models to be the most convenient for cleaning up spills with speed and this made fade-free suction power and a decent run time (you don’t want to run out of battery power in the middle of a job) our primary considerations. The Dyson – V7 Trigger fits the bill in both of these aspects, with the additional bonus of being lightweight and ergonomically designed, making it our top pick. We also feel confident recommending the Black + Decker – 20V MAX FLEX, which was the most flexible with its multi-functional attachments. It could reach nearly anywhere with a four foot hose, and a rubber pet nozzle made it ideal for picking up stubborn pet hair. If you’re on a budget, the Dirt Devil – Scorpion gives you the most bang for your buck with a powerful motor and attachments to complete any job. The power on the Dyson makes it stand out. And when paired with great handling, it's an easy choice for clean ups.